Bodhicharyavatara (Skt. Bodhicaryāvatāra) or Bodhisattvacharyavatara (Skt. Bodhisattvacaryāvatāra; Tib. བྱང་ཆུབ་སེམས་དཔའི་སྤྱོད་པ་ལ་འཇུག་པ་, changchub sempé chöpa la jukpa, སྤྱོད་འཇུག་, chönjuk, Wyl. byang chub sems dpa'i spyod pa la 'jug pa) or Introduction to the Bodhisattva's Way of Life – Shantideva's classic guide to the Mahayana path. It is included among the so-called "thirteen great texts", which form the core of the curriculum in most shedras and on which Khenpo Shenga provided commentaries. If I have any understanding of compassion and the bodhisattva path, it all comes from studying this text. There are many different teachings on the Mahayana or bodhisattva path. What’s a bodhisattva? How to be a bodhisattva? All these different practices, meditations, and philosophies. But in essence, what is this path and how does one practice it? In the Bodhicharyavatara, Shantideva gives the essential path of the bodhisattva. He does not comment in detail on one particular sutra or topic, but he essentializes the whole spectrum of the Mahayana teachings, and puts them into a nutshell--so that we can see what it really means, in essence. The Bodhicharyavatara teaches the complete Mahayana path to enlightenment, including all necessary preliminary, main, and concluding practices. A perfect path in itself, it is also at the same time a perfect support for all practitioners of the Vajrayana teachings in general. Practitioners learn how to develop the motivation of bodhichitta, as well as how to carry out the application of the six paramitas or transcendental perfections. 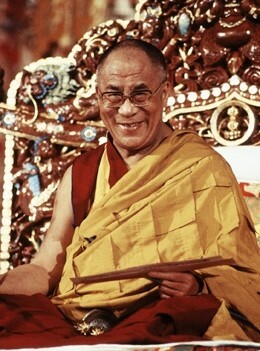 They learn how to fuse their practice of bodhichitta and the five first perfections with the sixth perfection, wisdom. While the Bodhicharyavatara is designed to transform a practitioner’s mind from the very outset, the other major Indian texts do not have this immediate practical applicability. The Abhisamayalankara for instance teaches extensively on the ten bodhisattva levels and five paths. How can people who have not even reached the first bodhisattva level apply these teachings to their minds? Even a complete beginner, on the other hand, can immediately make use of the teachings of the Bodhicharyavatara. The Bodhicharyavatara shows the methods, contemplations and meditations for transforming our minds, tells us how to free ourselves from worldly concerns, and thus how to become genuine practitioners. Khenpo Tsöndrü said that for these reasons the Bodhicharyavatara must be taught and studied extensively. Shantideva composed his text in the form of an inner dialog. He turned his own weapons upon himself, doing battle with his negative emotions. Therefore, when we teach or listen to this text, it is important that we do so in order to progress spiritually, rather than making it simply a subject of academic study. For Western students who are non-Buddhists, or who may be new to Buddhism, but who do not yet have a teacher and may not have a clear understanding of Buddhist concepts such as karma and interdependence, a commentary such as Pema Chodron's No Time to Lose may be the most suitable introduction to this text. This commentary is intended for a general audience and it explains basic Buddhist concepts in simple terms that can be easily understood. For students who have a teacher, they should follow the advice of their teacher. Within the Nyingma school of Tibetan Buddhism, the two commentaries most commonly studied are Drops of Nectar and Khenpo Zhenga’s annotation commentary. There are also two guides to meditating on the Bodhicharyavatara: The Brightly Shining Sun and The Garland of Jewel Ornaments. The Bodhicharyavatara can be practiced according to the ‘sequence of meditation’ as taught in the manuals written by Rongtönpa (The Garland of Jewel Ornaments) and Patrul Rinpoche (The Brightly Shining Sun). Following these manuals, the Bodhicharyavatara is practiced in a particular order and is used as a text for ‘mind-training’. From the viewpoint of a beginner the best way to access the Bodhicharyavatara is as follows: Choose one stanza of the text and make the commitment to practice it. At first think about the meaning of this particular teaching and then try to apply it in your daily activities. At the very moment when afflictions such as ignorance, anger, desire, jealousy or miserliness arise, apply the stanza you are practicing to the situation. By gradually incorporating more stanzas into your daily practice, you will eventually know the entire text by heart and will be able to apply each respective stanza to the appropriate situation. That is the benefit that accrues from memorizing the text. Merely recalling the appropriate stanza in situations when your mind is ablaze with afflictions will allow the power of the words of the Bodhicharyavatara to pacify the situation. Understanding the text’s meaning increases its capacity to tame afflictions. The full power of each stanza does not manifest through simply remembering it one time in a difficult situation. These teachings must be practiced again and again, and constantly applied to one’s daily life. This approach to taming the mind is called ‘mind-training’. The only way to truly overcome all afflictions is through practicing the view of emptiness. Practicing the skillful means of compassion, patience and so forth overcomes afflictions to some extent, but not completely. Practitioners should undertake mind-training embraced with the view of emptiness as taught in the traditions of Madhyamaka, Mahamudra or Mahasandhi. Practice the view of emptiness according to the oral instructions of your root guru and let your bodhichitta motivation and bodhisattva conduct be guided by the Bodhicharyavatara. According to Mipham Rinpoche, the view of Prasangika Madhyamaka as taught in the ninth chapter of the Bodhicharyavatara and the view of the Great Perfection are identical. Another crucial text for any practitioner who wants to develop certainty in the view is Madhyamakavatara. For the best results, practitioners should combine the study and practice of these texts with the direct instructions of their masters. Immerse yourself in the meaning of the teachings, day after day, month after month, and the spiritual qualities of a bodhisattva will develop without difficulty, like honey collecting in the hive as the bees go from flower to flower, gathering nectar. 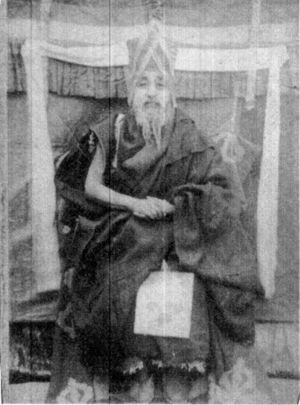 According to Alak Zenkar Rinpoche, Patrul Rinpoche started the tradition of teaching the Bodhicharyavatara continuously. This meant that if at least three or four texts were being taught in a monastery, one of them had to be the Bodhicharyavatara. When finishing the tenth chapter, the teacher would not stop there, but would go back to the beginning of the text and teach a little of that before ending the session. Paltrul Rinpoche broke with the tradition of teaching Buddhist treatises exclusively to monastic communities. He was the first Buddhist master in Tibet who began teaching the Bodhicharyavatara to huge crowds of lay people. While the audience may not have understood the subtle meaning of the entire text, Paltrul Rinpoche taught so as to make the major points easy to understand. When teaching a non-scholastic audience, one must condense the meaning and present it repeatedly in simple language, illustrating points through everyday examples and stories. In old Tibet many faithful and devoted lay people were kept from studying the genuine dharma since few teachers made the effort to explain the dharma in easy terms to non-scholars. In general, there are two styles of teaching the Bodhicharyavatara: ‘the scholastic explanation style’ and ‘the practice instruction style’. 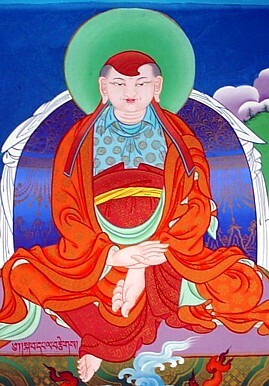 Patrul Rinpoche’s teachings on the Bodhicharyavatara as recorded by Thubten Chökyi Drakpa follow ‘the scholastic explanation style’, while Khenpo Kunpal’s commentary Drops of Nectar preserves Patrul Rinpoche’s teachings in ‘the practice instruction style’. Khenpo Kunpal’s commentary on the ninth chapter of the Bodhicharyavatara is based on Mipham Rinpoche’s Norbu Ketaka, which he wrote according to the teachings of Patrul Rinpoche. The study and practice of the Bodhicharyavatara became so popular in all shedras of East Tibet due to Paltrul Rinpoche’s influence. This text can truly transform the mind of a sincere practitioner. In our shedra, students would study Khenpo Kunpal’s commentary on the Bodhicharyavatara at the beginning of their first year… Khenpo Zhenga’s annotation commentary would be studied later, according to the teaching sequence of ‘the thirteen great textbooks of Indian origin’. May it go on increasing, further and further! According to this view, the whole text of this book can be divided into four sections, as expressed in this prayer. The first three chapters (1, 2 and 3) explain how to generate bodhicitta, how to make it arise. The next three chapters (4, 5 and 6) explain how to prevent bodhichitta from decreasing or being dissipated. The next three chapters (7, 8 and 9) explain how to make the bodhichitta increase further and further. The 10th chapter is a concluding prayer of dedication. The text of the Bodhicharyavatara has ten chapters. Most commentaries also include an introduction that establishes the context and background for the text. The chapter titles are listed below; the outlines for each chapter are based on the commentary by Khenpo Kunpal, called Drops of Nectar. These outlines will be posted as they become available. The Bodhicharyavatara was first translated by Kawa Paltsek and Sarvajñadeva in the early ninth century. This translation was then revised twice, first by Rinchen Zangpo, Shakya Lodro and Dharmashribhadra in the tenth century, and then by Ngok Loden Sherab and Sumatikirti in the eleventh century. Bodhicharyavatara commentary (Wyl. byang chub kyi spyod pa la 'jug pa'i bka' 'grel, Skt. Bodhicaryāvatāra-pañjikā) written in Sanskrit by the Indian scholar Prajñakaramati, translated by Marpa and Darma Drakpa, revised by Yönten Gyamtso. Many great masters and scholars of Tibet wrote commentaries on the Bodhicharyavatara, and many of these commentaries were and still are used in monastic universities in Tibet, India, Nepal, Bhutan, Sikkim, and Ladakh. ↑ Drops of Nectar, Khenpo Kunpal's commentary on Shantideva's Entering the Conduct of the Bodhisattvas, Volume 1, page 83, translated by Andreas Kretschmar. ↑ Drops of Nectar, Khenpo Kunpal's commentary on Shantideva's Entering the Conduct of the Bodhisattvas, Volume 1, page 133, translated by Andreas Kretschmar. ↑ A Flash of Lightening in the Dark of Night: A Guide to the Bodhisattva's Way of Life, by the Dalai Lama, page 1. ↑ Note that Khenpo Appey is referring to beginning students who are already Buddhists and who have a clear understanding of basic concepts such as karma and interdependence. Some dharma teachers in the West have expressed the concern that if Western students begin studying the root text without the proper understanding of basic Buddhist concepts, this can lead to confusion. ↑ Drops of Nectar, Khenpo Kunpal's commentary on Shantideva's Entering the Conduct of the Bodhisattvas, Volume 1, page 115, translated by Andreas Kretschmar. ↑ The Excellent Path to Enlightenment, by Dilgo Khyentse Rinpoche, Snow Lion Publications, page 10. ↑ Drops of Nectar, Khenpo Kunpal's commentary on Shantideva's Entering the Conduct of the Bodhisattvas, Volume 1, page 117, translated by Andreas Kretschmar. ↑ Drops of Nectar, Khenpo Kunpal's commentary on Shantideva's Entering the Conduct of the Bodhisattvas, Volume 1, page 127, translated by Andreas Kretschmar. Bodhicaryâvatâra, La Marche vers l’Éveil, nouvelle traduction, Padmakara's new translation based on Khenpo Kunzang Palden's commentary, Padmakara, 2007. Shantideva, Anleitungen auf dem Weg zur Glückseligkeit / Bodhicaryavatara, O.W. Barth Verlag 2005. Shantideva, Die Lebensführung im Geiste der Erleuchtung / Das Bodhicaryavatara, Theseus 2004. Gómez, Luis O. 'The Way of the Translators: Three Recent Translations of Sântideva's Bodhicaryâvatâra'. Buddhist Literature I (1999) pp. 262-354. Questions on the Bodhicharyavatara - A simple way to test your knowledge of the text. Drops of Nectar, Khenpo Kunpal's commentary on Shantideva's Entering the Conduct of the Bodhisattvas The first five chapters of this commentary are translated by Andreas Kretschmar and available for free download in pdf format. This page was last edited on 22 April 2018, at 11:02.